Spice72 Indian Restaurant and Lounge provides a peaceful and relaxed ambience with delicious, authentic food for everyone to enjoy. A proudly owned family business, brothers Jaspal and Amarjeet Singh Saini and their brother-in-law Satinder Pal Singh, have been immersed in the food industry since they were 10 years old! “My father Baldev owned a Punjabi-style restaurant in 1960 in Ahmedabad, Gujarat. That’s how we got into the business. We still have that restaurant,” explains Jaspal. 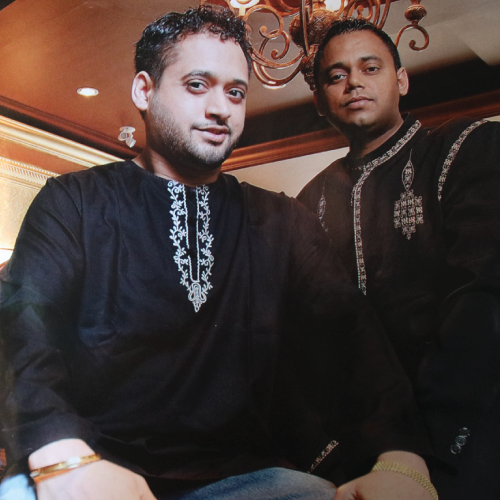 Keeping his father’s dream alive, Jaspal is proud to serve some of the best Indian food in town alongside his brothers. Spice 72 offers a menu comprising of North Indian and South Indian cuisine featuring specialties like Mumbai street food, Khaman Dhokla from Gujarat, Lamb Vindaloo from Goa and Butter Chicken from Punjab.“The food, décor and atmosphere are the three main aspects of Spice 72,” says Jaspal proudly. Amarjeet, the head Master Chef, started learning to cook at the age of 14 at his father’s restaurant. He has mastered the art on Indian cuisine along with a few secret recipes up his sleeve! Spice 72 customers just can’t get enough! Jaspal and Amarjeet ensure that the food prepared at the restaurant meets the expectations of the customers. Jaspal, in fact eats at his own restaurant everyday – just to make sure the quality and taste of the food are deserving of the customers. To add the homemade touch, Jaspal’s sister Paramjeet – “a khaman and batata vada specialist” according to Jaspal – assists in preparing various Gujarati and other specialities. The authenticity of the dishes at Spice 72 is something that deserves praise. The food is prepared fresh daily and from scratch. Try the Butter Chicken at the restaurant and let your taste buds enjoy the authenticity and freshness of the dish. A popular dish among guests, the delicious Butter Chicken prepared at Spice 72 cannot be compared to the ones served at other restaurants. One needs to taste it to understand the difference. Some of the other popular dishes at our restaurant are Lamb Vindaloo, Chicken Chilli, Chettinad Chicken, Batata Vada, Sev Puri, and Chicken 72 which is inspired by the Chicken 65 recipe. Spice 72 also offers a range of wines to give you a complete fine dining experience. “We have a great wine collection. We have the most number of Indian wines,” says Jaspal. Spice72 is also an ideal place to host parties and private events. The restaurant has patio seating which can accommodate a crowd of 80 to 100 guests for parties. There is also a special dining room with a seating of about 40 people for private events. Mouth-watering food, amazing location, and a quiet setting at Spice72 are perfect features to make a party successful! The restaurant is situated at a prime location, with the Cineplex Odeon Strawberry Hill Cinemas just a few minutes away. This makes it an ideal location to visit after or before watching a movie or just shopping in the complex.